Scott Pruitt, the polluter-friendly chief of the Environmental Protection Agency, has already amassed a lengthy list of extreme, fringey accomplishments. 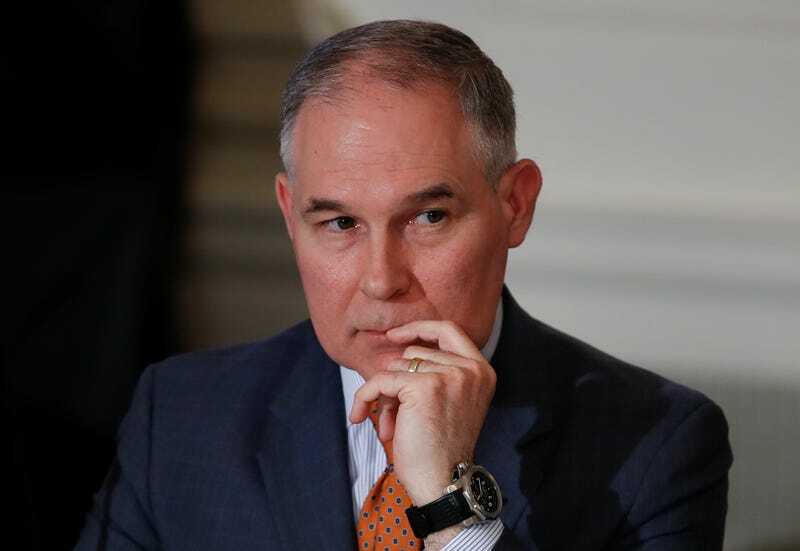 As Rebecca Leber wrote in her recent Mother Jones cover story, Pruitt has set out to demolish one EPA policy after another during his first year on the job, driven by his religious beliefs and personal ambition. Don’t expect the EPA’s deregulator-in-chief to be thwarted. It’s pretty clear that Pruitt has his sights set on a larger stage—the Senate? The White House? But first he wants to undo as much as of the previous administration’s work as he can, far from the glare of TV lights. This article originally appeared in the Mother Jones and is published here as part of the Climate Desk collaboration.